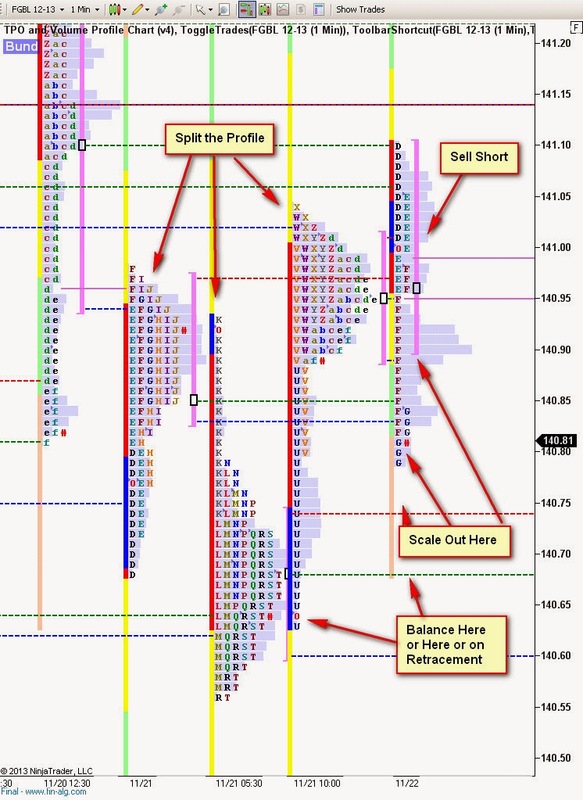 Finally, Making Money With Market Profile TM. That's the title of the Book. As readers of this blog and students know, context can substantially improve profitability. Yes, you can be CP without context, or at least without structured context (there is always some form of context in our minds) but using MP greatly improves my performance. Its a bit frustrating I can't effectively wrap that context into an algo. However, for both discretionary and hybrid traders, context can be a like a magnifying glass on profits if properly used. Anyway, enough of wishful thinking of the good old days. Splitting the Profile correctly is the key to getting the proper information from it. 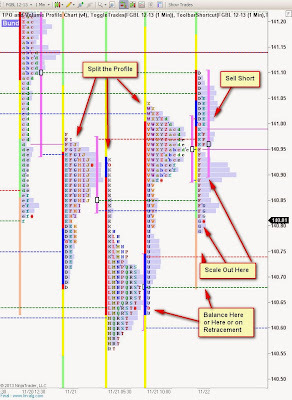 Then, using the EL pictures at those key points makes for a happy trader.